Holy Cow! 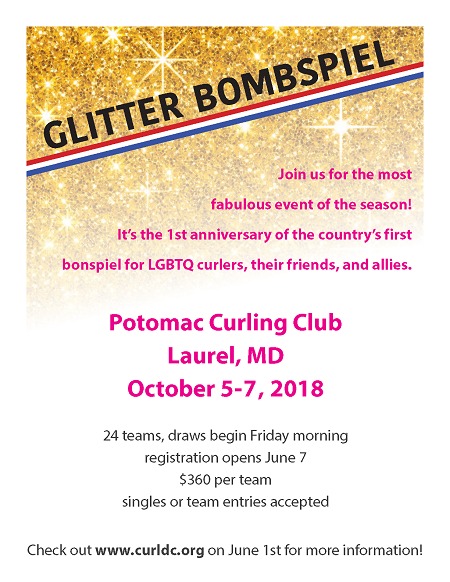 The Glitter Bonspiel is Full. Registration is $360 per team or $90 per entrant. Single or team entries accepted. Partial Teams and Singles: If you don’t have a full team, you are still welcome to register. We will pair you up with other single entrants. There will be an indicator on the registration form if you are a single or incomplete team. Note: Please ONLY use this option for incomplete team entries or single entrants. Full teams should enter together. Rate: $109 / night - must be reserved by September 13, 2018. Instructions: To book a room, go to the web site,click "check availability" at the top, enter the check-in and check-out dates, click the "+" next to "special rates", then click "Promotional Code" and enter "Glitter". 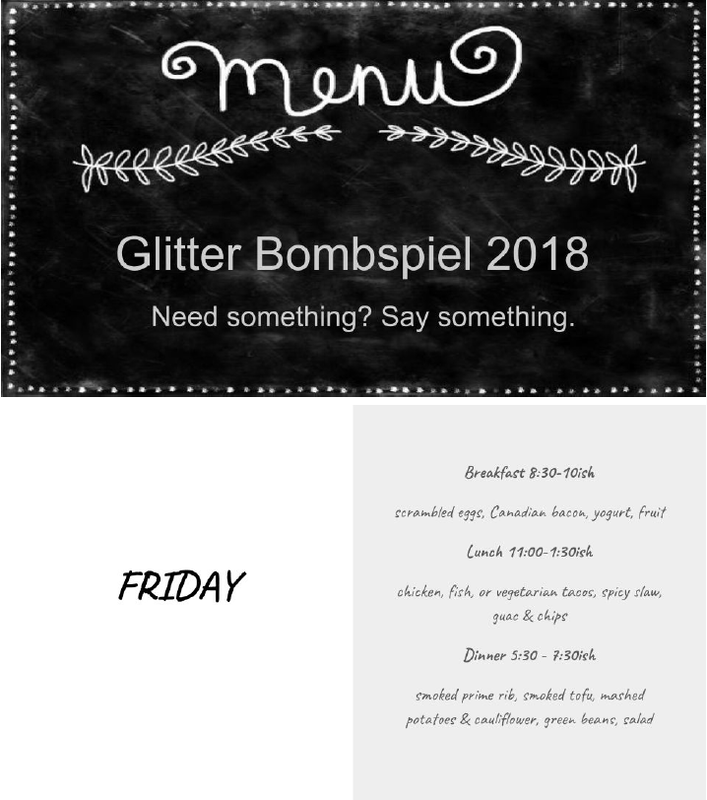 That will get you to the special rates for the Glitter Bonspiel. Goldline will be onsite for your equipment needs! 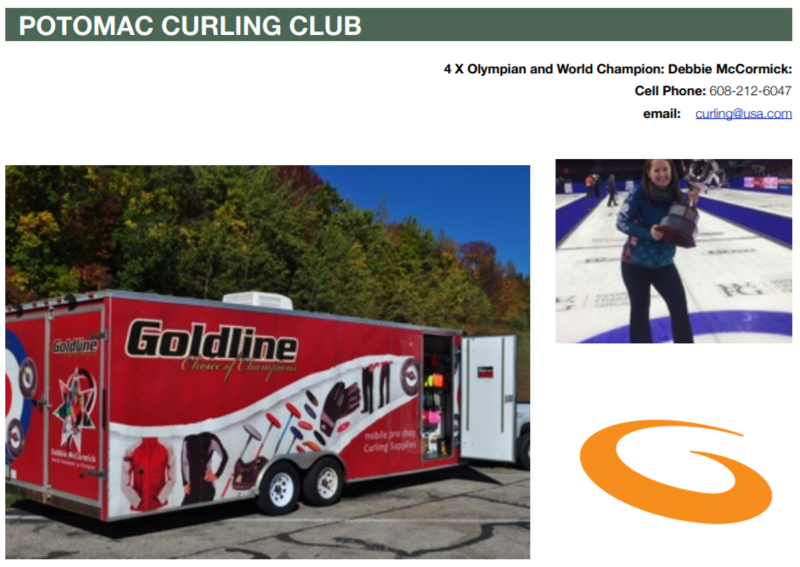 Debbie McCormick & Erin Flowers will be visiting the Potomac Curling Club with the Goldline Pop Up Curling Shop. 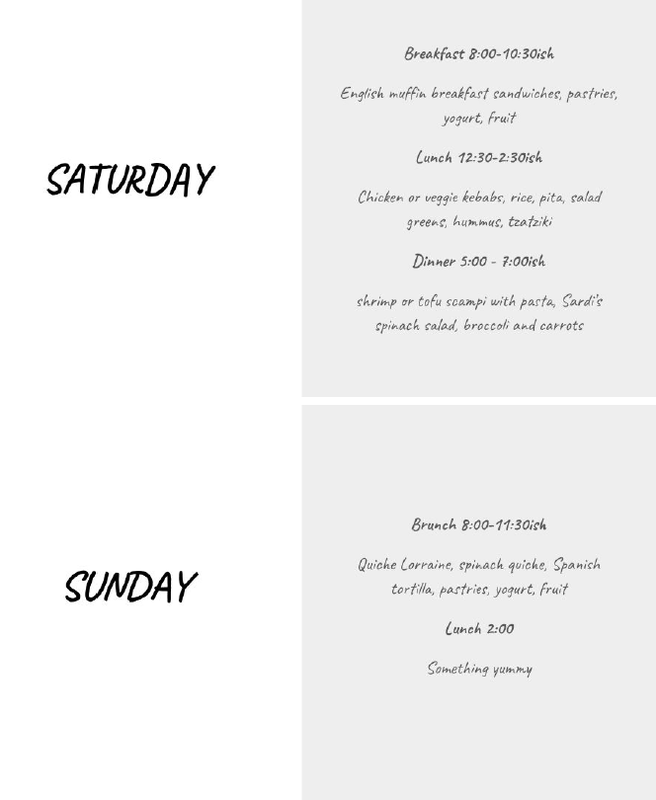 The shop will be located conveniently inside the club. The shop has a variety of curling shoes, brooms, gloves, sliders, stabilizers, replacement broom pads, clothing, novelty items and much more! You will have the opportunity to try on items and ask any questions about equipment you may have. Come and see what the pros use. A percentage of sales will be given to the Potomac Curling Club.